Explore the surviving remnants of this once great forest that covered vast areas of Scotland. The Caledonian Forest was once a vast woodland that colonised most of Scotland. Formed at the end of the last ice age, its remains can be seen in the ancient pinewood of Glen Falloch and Tyndrum in The Loch Lomond & The Trossachs National Park. A unique ecoystem, these woods are home to a variety of rare flora and fauna, some of which aren’t found anywhere else in the British Isles. VisitBritain/Andrew Pickett Autumnal view of Glen Affric, looking down the slopes to the lochin the distance. 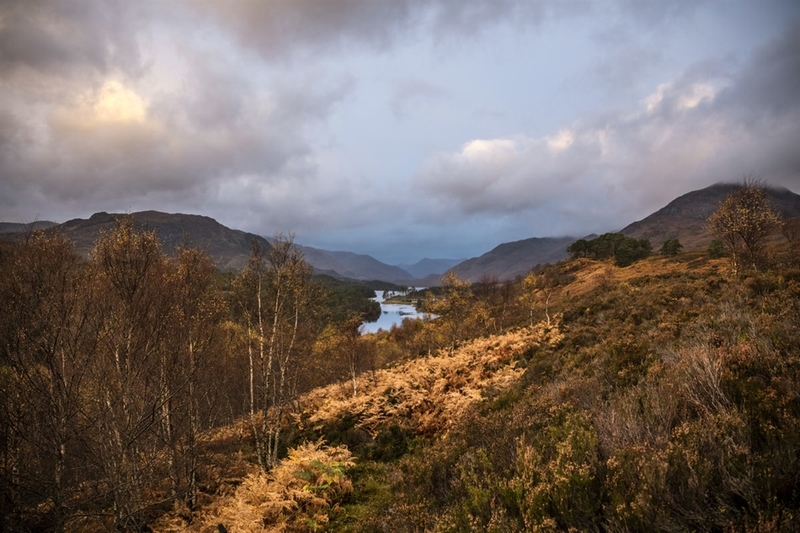 The sky looks like a Turner painting, with golden-yellow light playi VisitBritain/Andrew Pickett Autumnal view of Glen Affric, looking down the slopes to the lochin the distance. 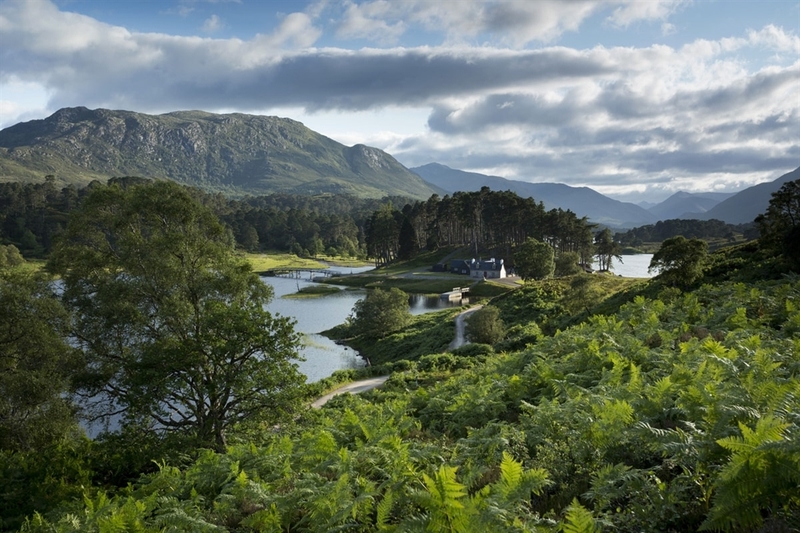 The sky looks like a Turner painting, with golden-yellow light playi Paul Tomkins / VisitScotland A tiny white cottage at the edge of Loch Affric, backed by majestic green mountains and the verdant Caledonian forest.